A 2012 telephone survey of 1565 farmers from across pastoral, pig and poultry livestock sectors aimed to benchmark farmer awareness of and self-reported compliance with the Animal Welfare Act 1999 and codes of welfare, and to explore the factors that drive or hinder that compliance. Eighty-two percent of respondents assessed their knowledge of statutory animal-welfare requirements as above average or excellent. However, of the five physical, health and behavioural needs of animals on which the legislation is based, only proper and sufficient food and water and adequate shelter were identified by more than half of respondents (77% and 54%, respectively). Once informed of the needs, 63% considered it not difficult to provide for all five. 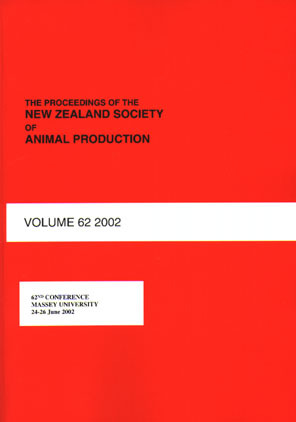 The majority of respondents reported levels of compliance with statutory animal-welfare requirements above 85% and knew of relevant examples of minimum standards from a code of welfare. The main barriers to providing for the needs of animals were identified as seasonal weather conditions [pastoral enterprises] and lack of money or resources [within the pork and poultry sectors]. In conclusion, while identification of statutory animal-welfare requirements was not high, farmers do understand the concepts that underpin the legislation.